President Nana Akufo-Addo has expressed excitement about the progress made by his government so far in the implementation of its much-touted one district, one factory programme. The president, who said the implementation of the programme is on course, revealed that 79 factories have so far been implemented under the programme. 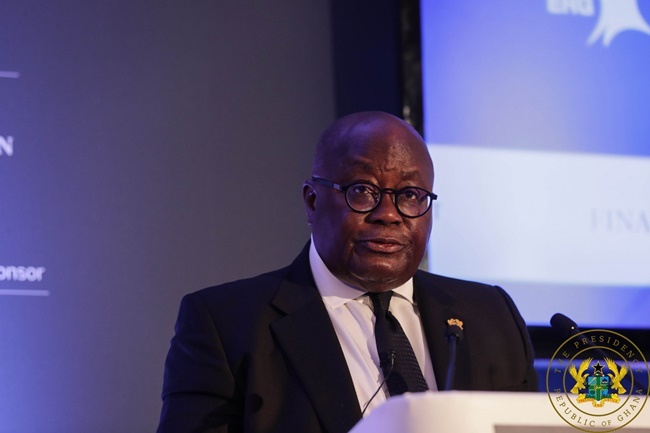 Speaking at the AGI’s 60th anniversary celebration in Accra over the weekend, he said an extra 35 were currently undergoing appraisal by the Trade Ministry and the concerned financial institutions. Nana Addo also assured Ghanaians government is on course to deliver on all of its promises. “So far, 79 projects have been implemented under the 1D 1F programme. With another 35 going through credit appraisal by officials of Trade and Industry and the financial institutions that are supporting the program,” he said. While stressing on the industry-focused programmes of his government, the president also indicated that some local companies had already started benefiting from the government’s stimulus packages. Akufo-Addo also stated that three vehicle assembly plants for which Memorandums of Understanding have been signed between government and three global car giants; Volkswagen, Nissan and Sinotruk, will become operational in 2019.